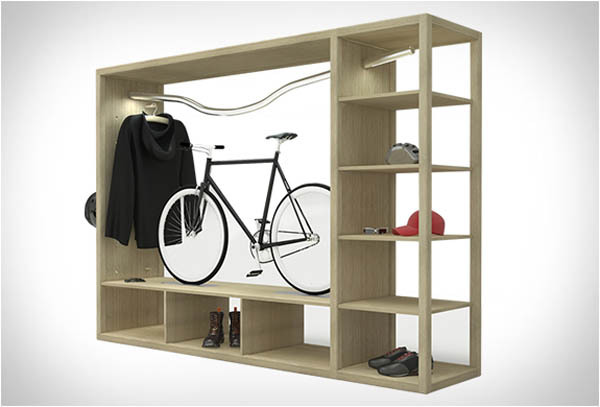 The Bike Shelf has been especially designed to transform one’s bicycle into an indoor sculpture or feature piece, allowing them to showcase their prized possession, giving it a deserved place of honor in the apartment….like a trophy in a glass jar. 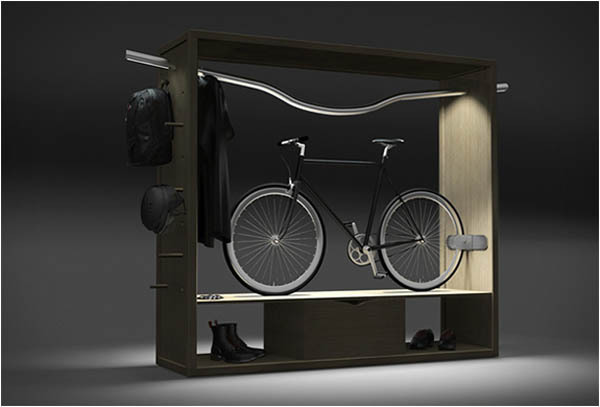 Built for the living room, the unique piece of furniture features a universal stainless clamp which holds the bike’s rear wheel in place and can be adjusted depending on the the size of the wheel. 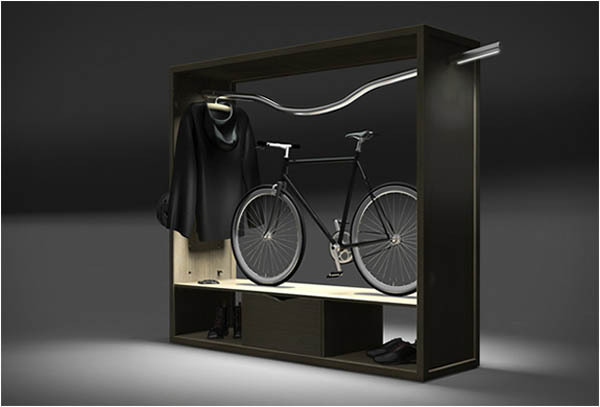 The stainless steel clothes rack comes with four leather hooks and there are wooden poles you can arrange in the appropriate holes on the side panel to hang jackets and accessories. 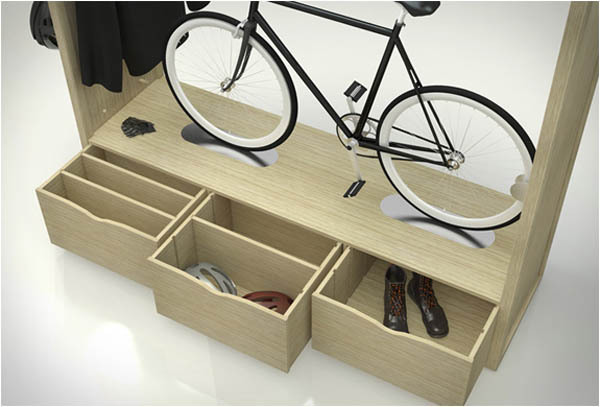 Moreover, there is a lower compartment which has draws to accommodate all your biking gear, helmet, pump, water bottle, pad lock etc.